The code can be identified on the etherscan with the following address 0x04F062809B244e37e7fDC21D9409469c989C2342. The other related files including deployment method, testing were released in Github. Owner transfer the ownership to JoysoWallet, using a multiSig wallet to ensure protection for Joyso contract’s operating power. The scope of our bug bounty program includes all contracts related to the JOYSO and dApp website itself. 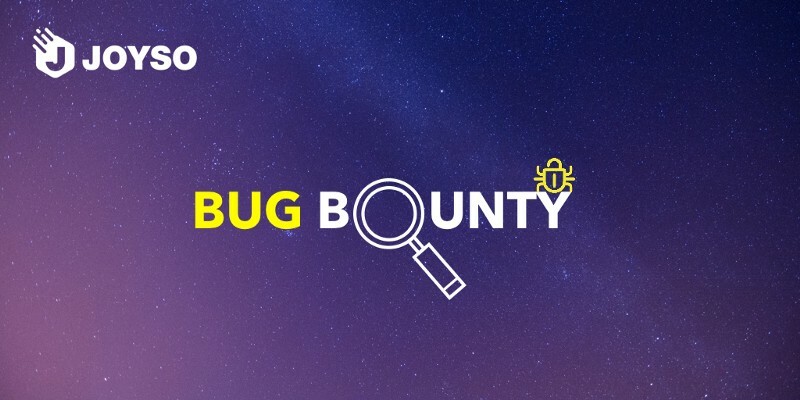 The bug bounty program is an ongoing campaign and we welcome your submissions anytime. We are using the OWASP risk assessment methodology to determine the bug’s level of threat to determine the bounty value. Please note that the quality of submission’s will affect the compensation amount. A high quality submission includes an explanation of how the bug can be reproduced, a failing test case, and a fix that makes the test case pass. High quality submissions may be awarded amounts higher than the amounts specify above. Note that bounties will be paid in ETH and that JOYSO team members and paid auditors are not eligible for bounty compensation. Public disclosure of the bug or indication of an intention to exploit it on the mainnet will make the report ineligible for a bounty. If in doubt about other aspects of the bounty, most of the Ethereum Foundation bug bounty program rules will apply.